WPP has fallen victim to a cyber attack involving a ransomware virus, with staff told to disconnect their computers. A "massive global malware attack" has hit the world's largest advertising company and its agencies. Robin Dargue, WPP's group chief information officer, has notified agencies that a number of companies within the group have been hit with a ransomware virus. The attack has affected Windows computers and servers, with staff told today to disconnect their machines and switch them off until further notice. Apple Macs and mobile devices are not being affected although email and Skype services are unlikely to be available because they rely on Windows servers. 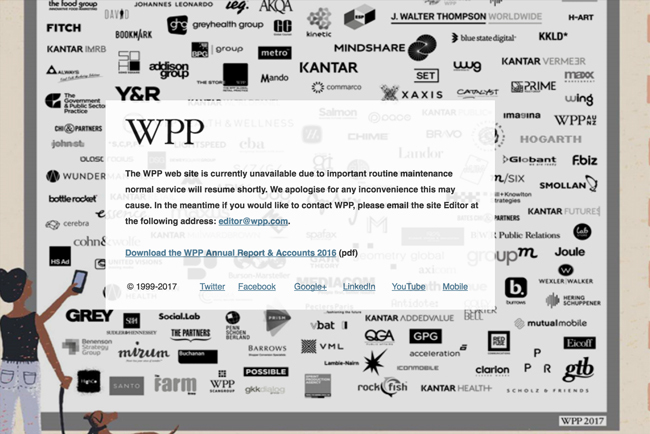 WPP's global website wpp.com is currently inaccessible, but the company said this is due to "important routine maintenance". Ransomware dubbed "Petya" has caused serious disruption at several companies across the world today, including French construction multinational Saint-Gobain, mining and oil firms Evraz and Rosneft, and the Danish shipping giant AP Moller-Maersk. 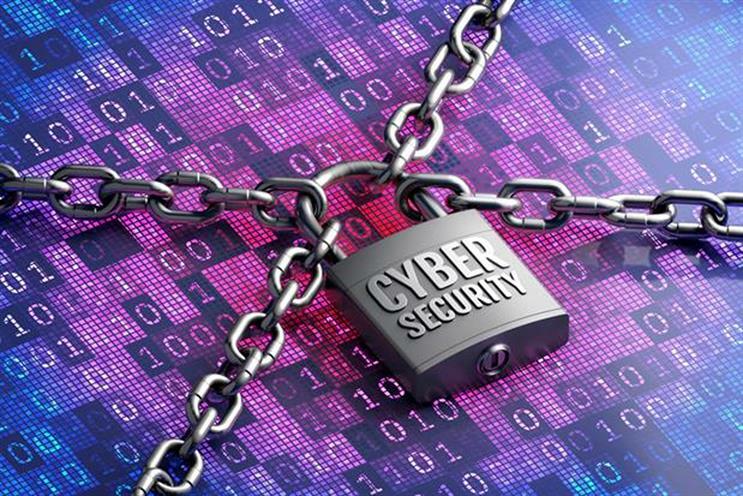 Earlier today, Ukraine’s government, banks, state electricity grid, telephone companies and metro system were reportedly hit by cyber attacks today too. Last month the UK's National Health Service was attacked by ransomware which locked hospital computers. The attackers demanded money in the form of bitcoin in exchange for unlocking the computers, which were using outdated Windows' XP operating systems. A spokesman for WPP said: "IT systems in several WPP companies have been affected by a suspected cyber attack. We are assessing the situation, taking appropriate measures and will update as soon as possible."